City Fish welcomes me with eyes--lots of them. 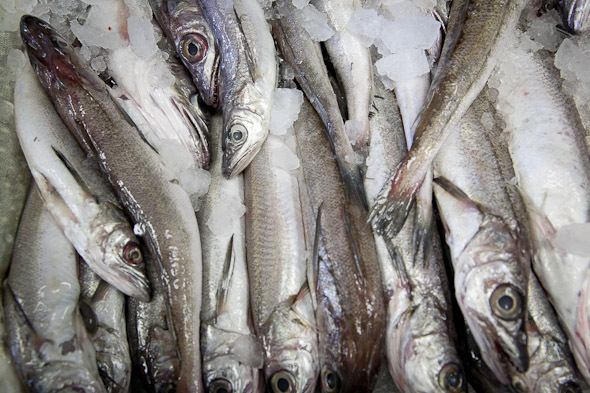 I'm used to buying my fish already gutted and cut into neat little portions, so the sight of hundreds of fish, just chilling on ice, is just the slightest bit jarring. Granted, I've never much enjoyed the sight of the living creature ever since I was a child. It was one unfortunate afternoon, to be a little more precise, that solidified this general aversion. I was on a field trip to some horrible fish farm with the day camp I was attending, when one of the farm's staff reached into the pond and pulled out a slimy, flapping fish. 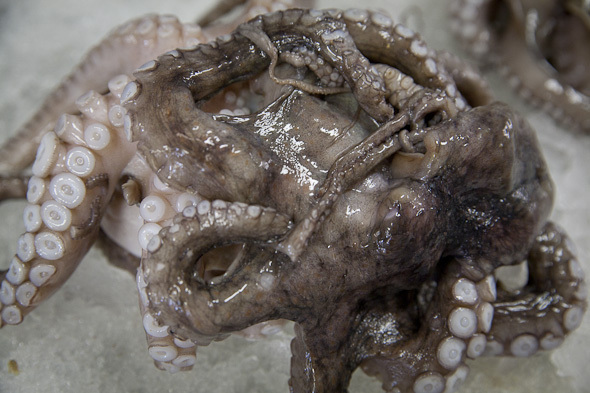 Surrounded by a gaggle of five- or six-year-olds, he plopped the fish down on a raised table, forced his knife into the gut of the fish, and somehow pulled out its heart, leaving it to beat for a few moments, dripping alone on the table. Needless to say, I've been somewhat squeamish around fish since then, so it took a few minutes to adjust to City Fish's displays. Suitably adapted, I began to explore the Lawrence and Dufferin shop's offerings, which supply many other businesses and restaurants in Toronto. 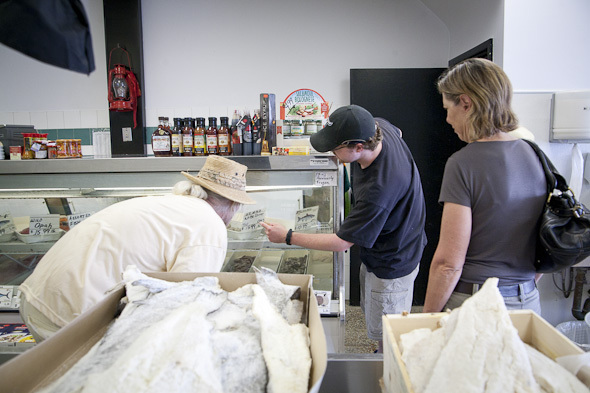 It's known for its outstanding selection--something one notices upon entering the front door--as well as the freshness and quality of its fish and other seafood. 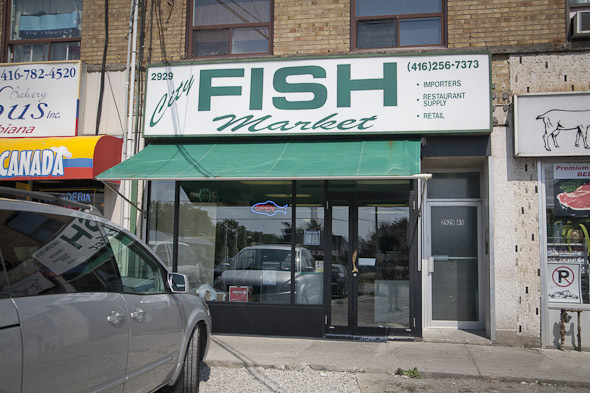 City Fish has been a fixture in this strip mall for years, most recently (read: the past eight or so years) under the ownership of Gus Nikoletsos. 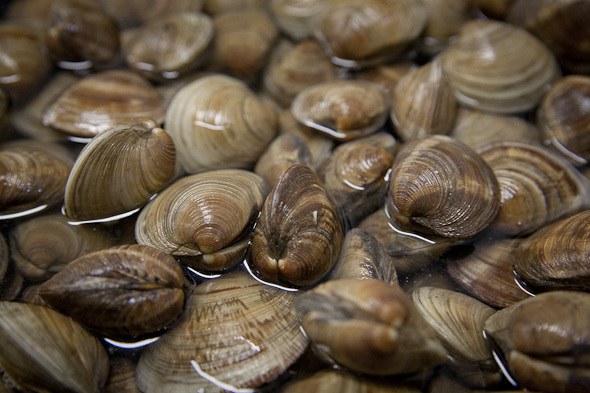 Gus isn't in the shop when I drop by, and the staff is busily stocking and gutting away, so I'm left to my own devices to explore the abundance of seafood. 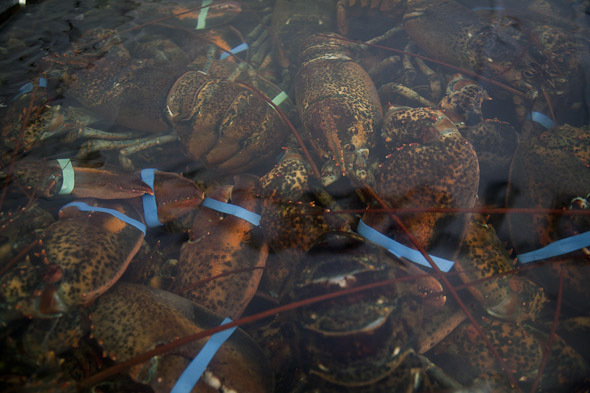 The live lobster tank is the first thing you'll see when you walk in the door, and City Fish offers its lobster for $11.99/pound. Of course, you'll need assistance when choosing your pick. 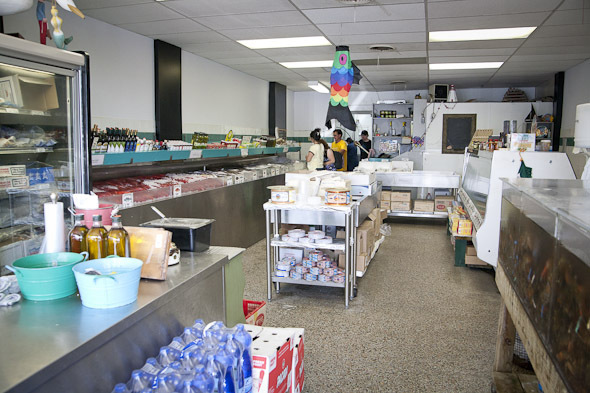 Same goes for the fresh fish on ice lining the north end of the store. 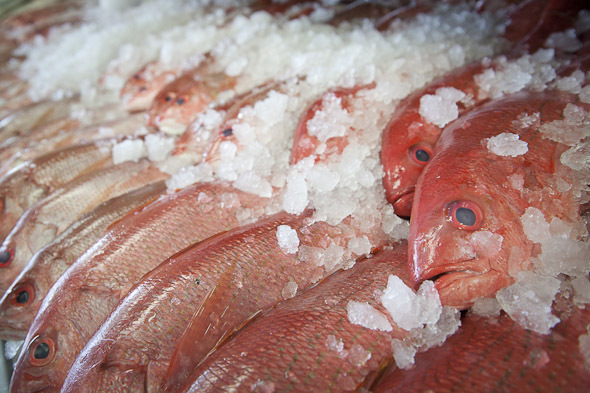 There you'll find red Red Snapper ($6.99), Striped Bass ($5.99/lb) Spanish Mackerel ($4.99) and whole octopus ($7.99), as well as other varieties that may change depending on the season. The fish are all accompanied by labels that indicate its origin; though a quick scan of the store tells me that the majority of the seafood at City Fish is wild, not farmed. There is a glass counter housing portions of salmon and other fish, which serves as retail for customers picking up dinner. But by now, having fully adjusted to my surroundings, I'm much more interested in exploring the stuff you won't find just anywhere. I spot a case of frozen frog legs ($6.99/lb) behind the cash, along with lots of fresh squid ($4.99/lb), dry sea scallops ($16.99), and gourmet oils and sauces. And by the time I leave, all those eyes don't bother me much anymore.